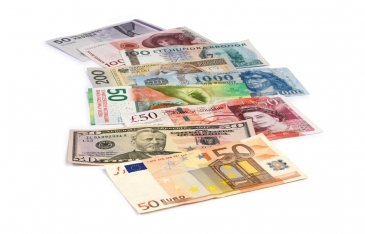 Checking your banknotes for counterfeits and counting them fast and efficiently? 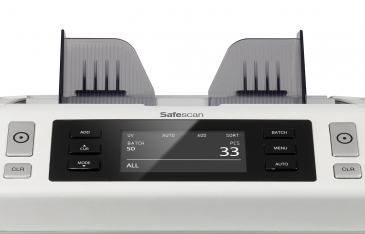 The Safescan 2660 is your best choice! 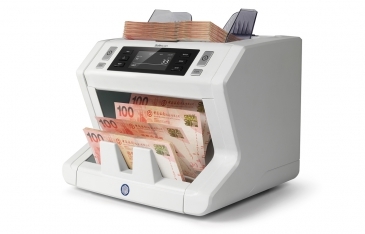 The robust and reliable Safescan 2660 banknote counter combines maximum protection against counterfeit banknotes with fast and accurate counting of your notes. 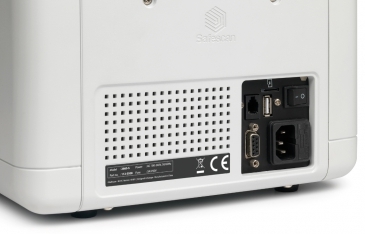 For optimal security the Safescan 2660 is equipped with an amazing 6-point counterfeit detection. 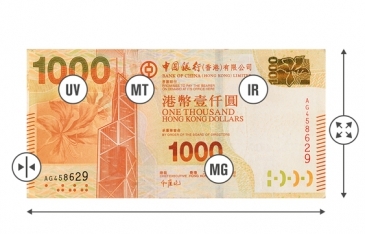 This versatile and reliable money counter checks and counts 5 default currencies; Hong Kong Dollar, Renminbi, Euro, British Pound and US dollar. Waiting is a thing of the past! This professional banknote counter quickly and 100% accurately counts your banknotes with an adjustable speed up to 1.500 notes per minute. 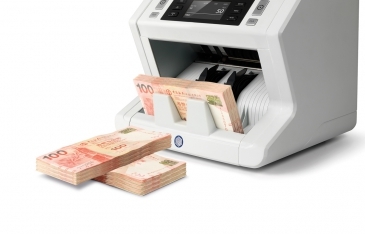 Conveniently the Safescan 2660 allows you to continue adding new banknotes onto the 300 notes capacity hopper while the money counter is in full operation. 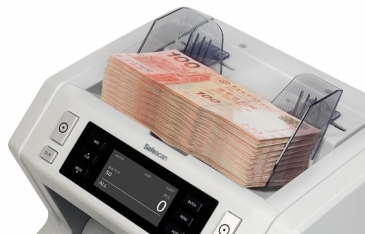 In addition, the batch function will help you to prepare your banknotes in batch sizes of 1 – 200 pieces. Simply type in the desired batch size on the numeric keyboard. Finally, the counting results are displayed neatly on the large LCD screen on the machine. 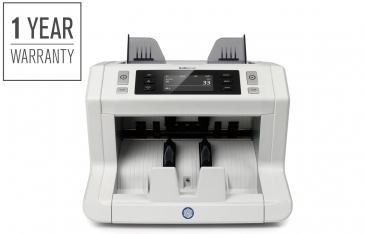 The Safescan 2660 is equipped with an advanced checking and warning system that will sound an alarm and stops the machine when a counterfeit banknote or a different type of banknote is detected.